Bryn Parry is a Wiltshire based cartoonist and sculptor. Following ten years in the army, Bryn gave up his regular commission in The Royal Green Jackets to make a living from art. He and his wife Emma, began Bryn Parry Studios in a damp cellar in 1986 but over the next 23 years they built BPS into a well-known brand producing high quality gifts based on Bryn’s designs as well as undertaking hundreds of commissions. Bryn published his first book, Mad dogs and Englishmen, in 2000 and twelve others subsequently. In 2007 following a visit to wounded soldiers in hospital, Bryn and Emma founded and ran Help for Heroes (H4H). While CEO, Bryn created Hero bear, the iconic H4H Stretcher Bearer and medal logos as well as those of Battle Back and the Phoenix of Defence Recovery. In 2016 Bryn and Emma stepped down from their executive roles at H4H and set about rebuilding their lives and in Bryn’s case, returning to his cartoons. Following an inspirational portrait course at the Sculpture School in Devon, Bryn decided to take up sculpture. Initially he concentrated on portraits, including those of wounded soldiers before creating his ‘cartoons in clay’ series. 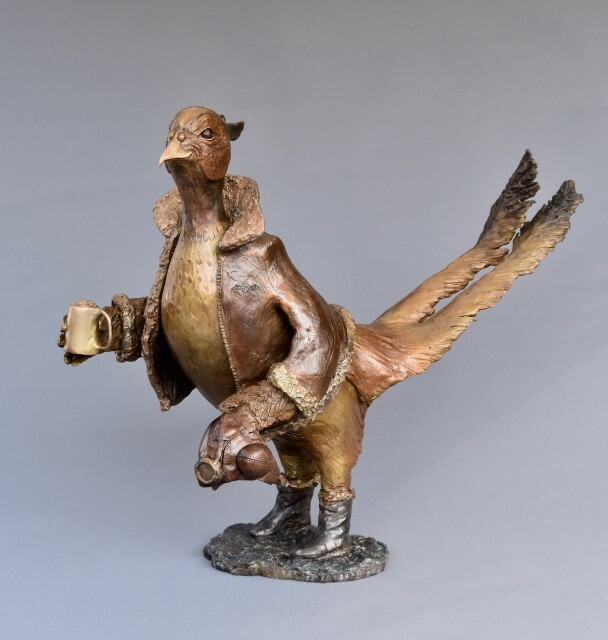 His recent work includes several bronze portraits and a silver piece, ‘Four Lions’ for the Adjutant General’s Corps. His cathartic piece ‘Looking Forward’, a study of Simon Brown who was shot through the face in 2006, won the Sculpture Prize in the Armed Forces Art Society’s Articles of War exhibition in Glasgow. Bryn’s commissions include work for the Duchy of Cornwall, the Duchy of Lancaster, Sandringham, Lloyds of London and many Regiments, Companies and individuals.